The opening round of this year’s regional Extreme Festival series fully entertained a large crowd at the Zwartkops Raceway near Pretoria on Saturday.Top billing on the day belonged to the Mobil 1 V8 Supercar brigade, with 14 drivers on the startline. 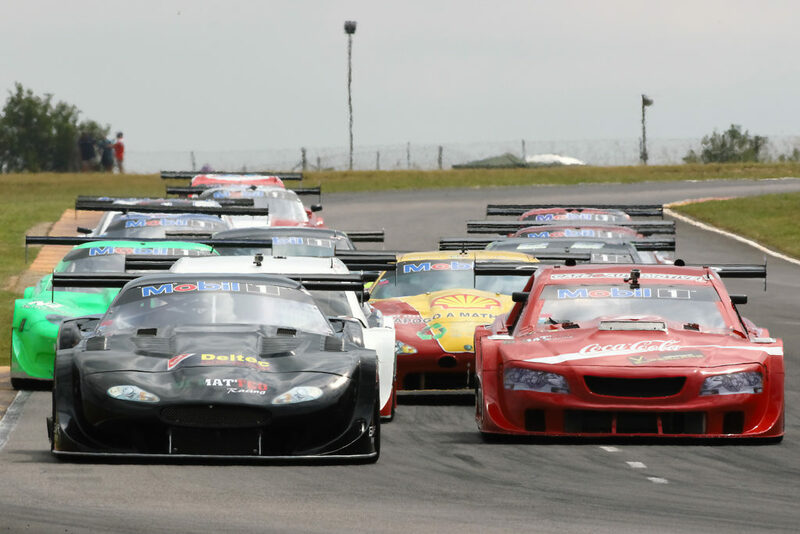 Franco di Matteo (Deltec Jaguar XKR) won race one from Mackie Adlem (Adlem Auto Jaguar XKR), Terry Wilford (Fuchs Ford Falcon), Thomas Reib (Caf9 Chevy V8) and Izak Spies (LSP Group Ford Mustang). In the process Adlem set the quickest lap of the day, with a time of one minute, 2,03 seconds. Race two, started from an inverted grid, was won by Terry Wilford, ahead of Adlem, Reib, Di Matteo and Larry Wilford (Associated Alterations Ford Falcon). Youngster Lyle Ramsay (Monroe Polo) led the opening Motor Mart Volkswagen Challenge race until the throttle cable snapped through turn four forcing him into retirement. Reigning champion Rory Atkinson (BHIT Polo), then proceeded to win both races from Bevin Masters (CPS Warehouse Polo) and Waldie Meintjies (Allwagen Parts Polo). Jonathan du Toit (TAR Honda Civic) took both the Car Clinic SuperHatch heats, both times marginally ahead of Brett Garland (AutObarn Honda Civic) and Tyler Scott (Episerve Opel Kadett TS). Wouter Roos (Nathans VW Golf 6) took both races for Car Care Clinic 111 Sports and Saloon Cars, beating off the close attentions of Adrian Dalton (Xtra Clothing VW Golf Turbo) and George Economides (Wealth Avenue BMW 328i). Jaco Taylor (1965 Alfa Romeo Junior) took the first SKF Pre-1966 Under Two-Litre victory from Chad ten Doeschate (1960 Alfa Spyder) and Roger Houston (1965 Alfa Giulietta). Housten won the next time around, ahead of Ten Doeschate and Taylor. Christopher Carlisle-Kitz (1962 Ford Anglia) took the category for Pre-1966 Little Giants ahead of Mark van Rooyen (1960 Bay Drive Sunbeam Alpine) and Stephen Britz (1966 MGB). Britz won the next race from Ishmael Baloyi (1959 GSM Dart) and Kassie Coetzee (1961 Volvo P1800). Veteran Graeme van Breda (Stefanutti ZX10) led both of the Red Square Kawasaki Masters races from start to finish, followed to the finish line on both occasions by Gareth Bezuidenhout (Kawasaki ZX10) and Jaco Gous (Kawasaki ZX10). Shaun Vermaak (Industry Kawasaki ZX10) and Hendrik de Bruin (NETCB Yamaha R1) swapped the first and second places in the respective Bridgestone Superbike races. Hein McMahon (BDJ Freight BMW S1000RR) stood on the third podium step both times. The first Bridgestone Challenge race went to Michael Dixon (Westside Honda CBR), leading home Harry van As (Wellness Group Honda CBR) and Christopher Kretzen (Peter Herberds Kawasaki ZX10). Kretzen took the next race victory, followed by Van As and Naafsief Wadvalla (Fastbikes Kawasaki ZX6). 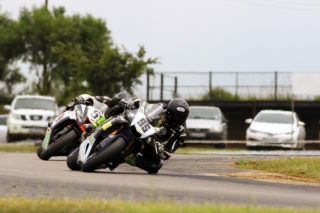 The next round of the 2019 Extreme Festival will be at the Zwartkops Raceway on Saturday, April 6. Diarise Kyalami’s 22 April Motorsport Festival now!